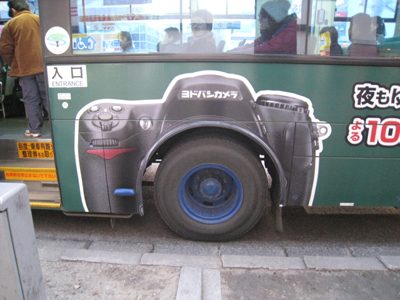 The other day, JAPAN Style showed you “caterpillar-like busses ”. 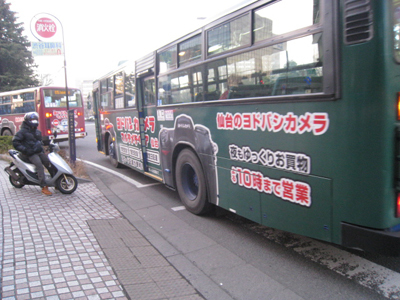 Today, I’d like to show an artistic wrapping bus (bus with advertisement). Look at around the tire! It’s like a lens of a camera! Isn’t it a great disguise!? If I got further information, I’ll share it here again! Local Specialty Cola of Japan!